A clever blend of ruggedness and lightness, technical accomplishments and extreme refinement makes the Vacheron Constantin Overseas Dual Time Self-Winding Steel and Titanium model the ideal companion for enthusiasts of excellence looking to get away from it all. Equipped with a dual time-zone display powered by mechanical self-winding Calibre 1222, it explores the rich palette of grey shades composed by steel, titanium and leather. 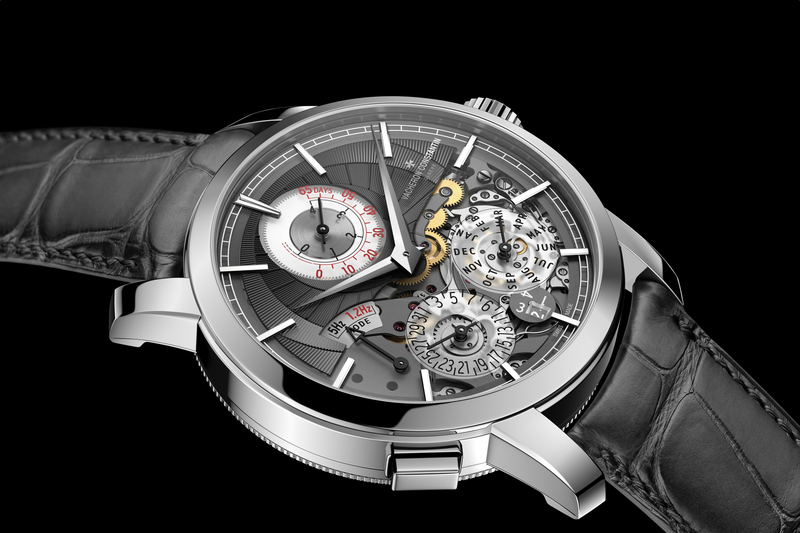 The eagerly awaited steel, with a titanium bezel, version of the Dual Time. 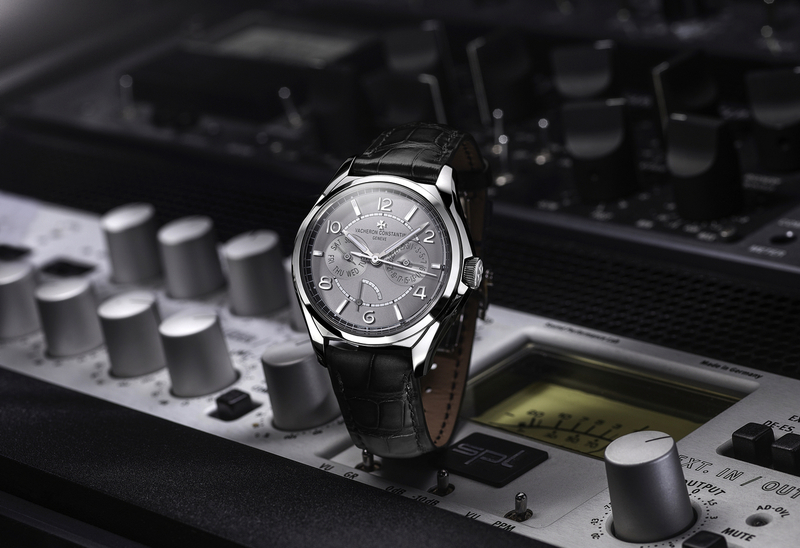 Ever since the launch of the first Overseas in 1996, Vacheron Constantin’s sports line has been constantly enriched with innovative new timepieces. Entirely dedicated to travel as its name implies, the line is based around three best-sellers – Overseas Self-Winding, Overseas Chronograph and Overseas Dual Time – available in steel, gold and steel/titanium versions. 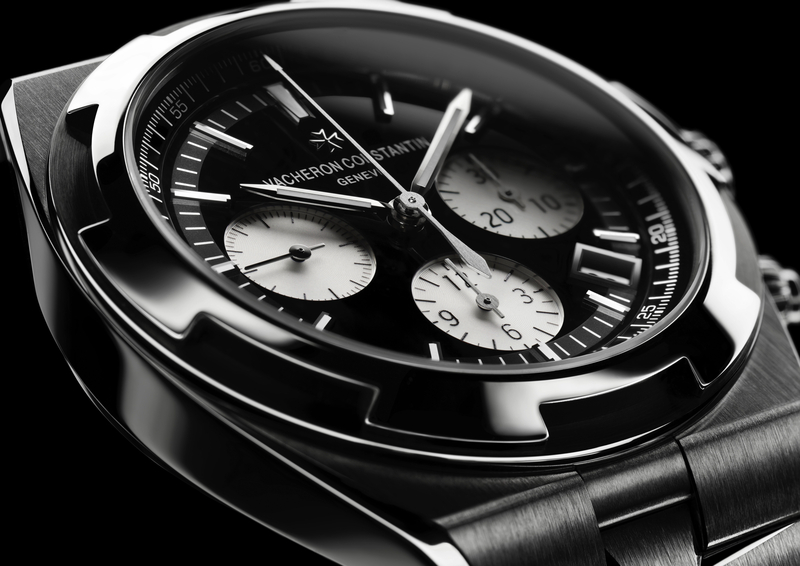 Vacheron Constantin is now rounding off the Dual Time range, with its useful complication greatly appreciated by regular travellers, by introducing a steel with a titanium bezel variation. In addition to its classic hours, minutes and seconds functions, the Dual Time Self-winding Steel and Titanium features two subdials – one for the date at 3 o’clock and another for the dual time zone at 6 o’clock – along with a power-reserve display and a day/night indicator. 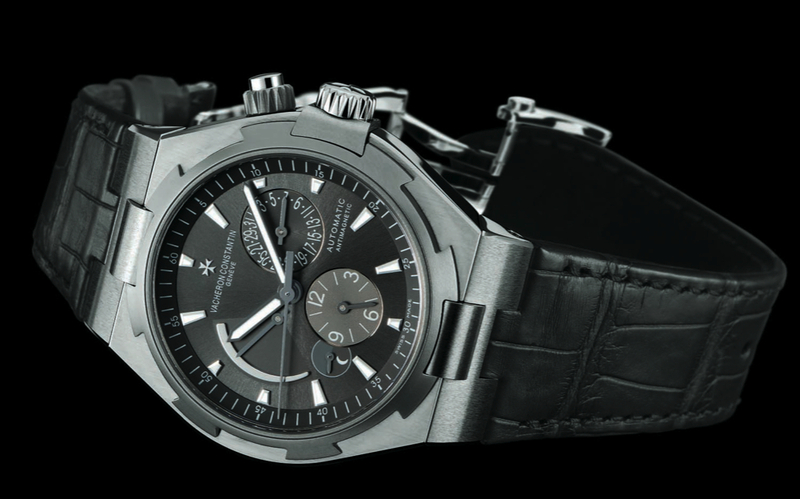 Its tech-oriented, sporty grey dial ensures excellent readability of the various functions. Mechanical self-winding Calibre 1222 is protected by a screen that makes it completely insensitive to the effects of magnetic fields that are omnipresent in our daily environment and can be detrimental to the regularity of rating and thus the precision of the watch. Finally, the construction of the pushers and its protected crown ensures completely secure handling.